Summer break never lives up to my expectations. I guess I should rephrase that. Summer is great, but I get so caught up in summer break I forget all my well-laid plans. Every April, I start dreaming about all the awesome, organized, restful, adventurous things I hope to accomplish and then about mid-July, I start feeling summer slipping through my fingers. I’ll be back at school in a few short weeks, with months to endure before the next summer break. It’s a vicious cycle, really. I plan big, but enjoy being lazy...I mean restful. One of the most important plans forgotten is the planned morning devotion, reading, studying, praying time. When I dream about summer, I just know I’ll get up with the sun, before my kids wake, and spend some peaceful time in the Word. Just me, my bible, my journal, and my trusty pen. Oh, and coffee. Like one sweet pictorial representation of devotional perfection. Break hits and real-life hits and nothing is as I dreamed. Totally my fault, though. When I don’t have to wake up at 5:30 am to get ready for work, suddenly I’m regressing to sophomore year of college and staying up way too late. But 37 feels a lot different than 20. For real. Late nights equal sleeping in until my morning-loving children bust out of their bedrooms. Too late for my idyllic, kid-free devotional time. Sigh. I settle, and I use that word strongly, for squeezing in time with God during my unorganized days. I read a couple of verses here and there, a chapter or two in a book, a quick devotional, or a blog post. Rarely do I sit and really digest what I’m reading. Instead I’m content to do the bare minimum just to say I did it. Lately this has been weighing heavily on me as I’ve noticed I’m not as patient and not as kind as I should be, especially to those closest to me. 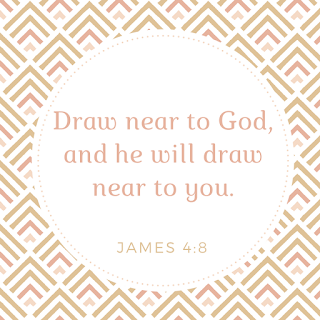 James 4:8 tells us that if we draw near to God, he will draw near to us. The truth is, I haven’t been doing my part and as I hurry through my scripture reading and prayer time, I’m not being fully devoted to God. 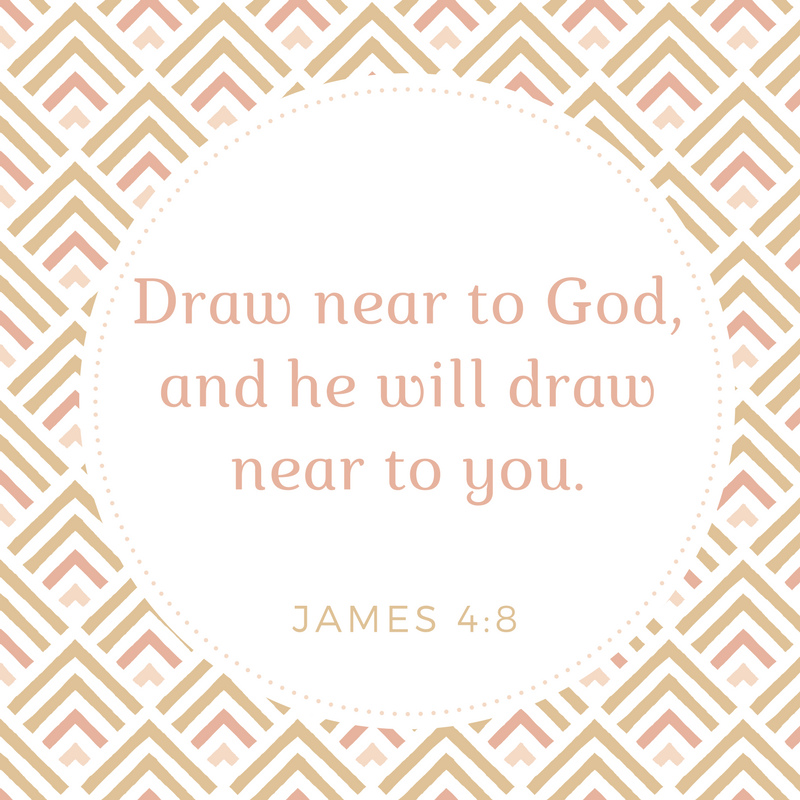 During the school year, God is a priority, but in the summer He sometimes becomes an afterthought as I focus too much on myself, my fun, my rest, and my needs. Me, me, me. I hate that. 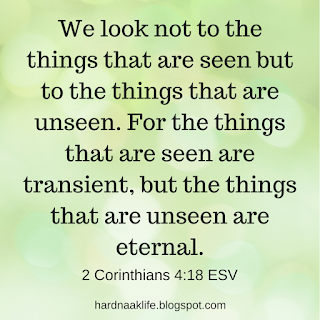 When my identity is no longer intertwined with Christ, I am a shadow of who I should be. I make myself an idol. So often we try to develop Christian character and conduct without taking the time to develop God-centered devotion. We try to please God without taking the time to walk with Him and develop a relationship with Him. This is impossible to do. This summer I haven’t been devoted. Instead, I’ve been going through the motions and checking off lists. I’ve been too lazy. Conviction is painful, but also awesome. It’s God seeking me out to bring me back to Him and I plan on doing just that. The Lord tells us when we seek Him, we will find Him, when we look for him with all our heart (Jeremiah 29:13). 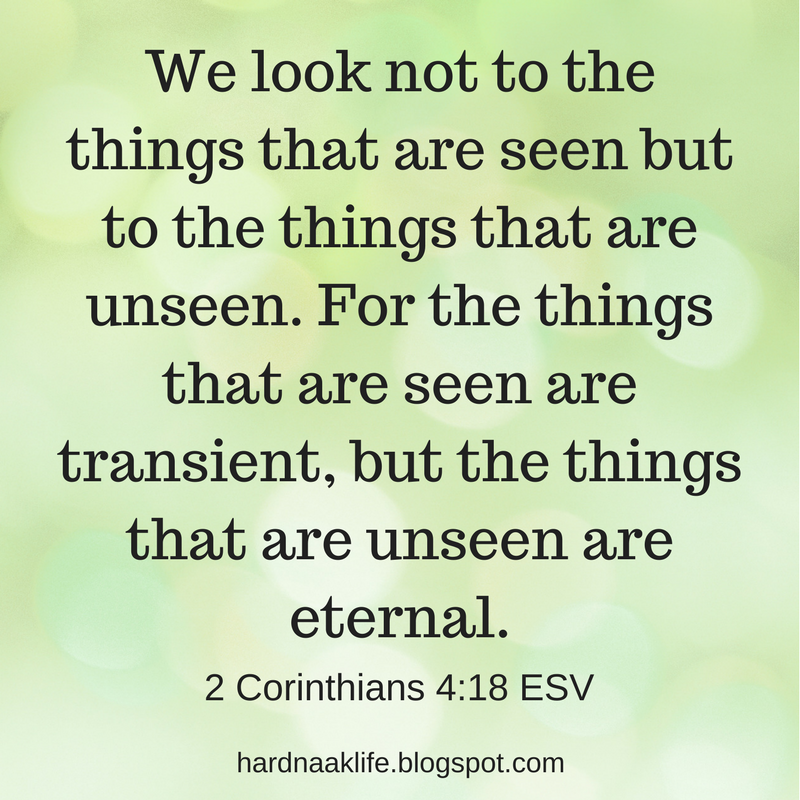 This is how I’ll seek Him. I may be great about giving God my monetary tithe, but am I good with freely giving him my time? Am I careful to devote time to him to both talk and listen? Making Him a priority means putting my self and my time to the side in order to focus on Him. But really, everything is His anyway so I'm just giving it back. From that perspective it is less burdensome to spend time with Him. Quiet time in the Word, without distractions. Being devoted to God comes from a relationship with Him. Relationships grow when we spend one-on-one time with someone and the same is true with our relationship with God. I will make an effort to get up early, before the kids, and focus on Him. Thinking and praying about what I study. While devotion comes from a relationship with God, relationship comes from prayer and scripture study. 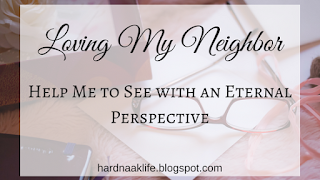 How do I know Him better if I don’t take time to really study Him and spend time with Him? For me, I try to highlight and journal as much as possible so I can pinpoint what stands out for me that particular day. 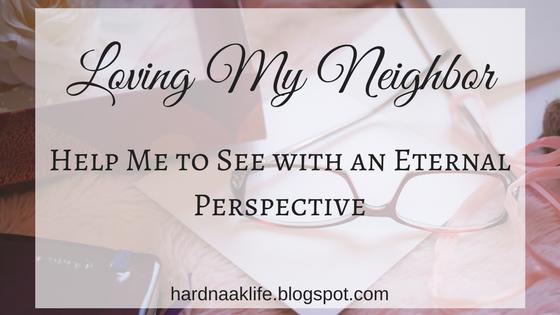 It's also a point of reference when I pray and listen. None of this will be without giving on my part, but isn't that the point? Emptying myself in order to be filled by Him is the ultimate goal. What about you? Has God been convicting you about your time with him? 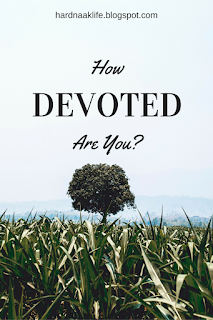 Do you desire devotion? If you saw my house right now, you would think I had no knowledge of the concept of minimalism. We are in the process of packing up one house to move to another and we look like a bunch of hoarders. 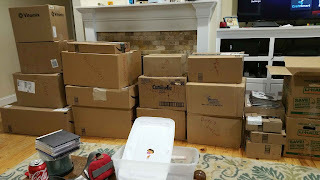 I’ve already taken thirty-ish boxes made up of linens, out of season clothing, toys and craft items, books, and random closet stuff to the basement of the other house. It still looks like I’ve not moved a thing. The pile of boxes in my living room and the almost empty bookshelves are the only indicators of a relocation. This is real life, people. Despite the mess that is my life right now, I am very interested in the concept of minimalism. I desire empty tabletops and counters, minimal furniture and décor, capsule wardrobes, and a modest house that is not consumed by stuff. I’ve made slight changes in my life to push me closer to this lifestyle, but as this preparation to move has shown me, I am nowhere close to where I want to be. I know what I want minimalism to look like in my life and I have a plan to get there. It will take time, planning, getting my husband and family on board, and some self-motivation. It’s not going to be the easiest of tasks because it takes dedication, but I have an action plan that I believe will work for my family. For a while now, while prepping for our move, we’ve been living in chaos. I’m not even exaggerating. Boxes, piles of random items, and all horizontal spaces filled with stuff. Lots and lots of stuff. Stuff I don’t even really care about, but I feel frozen when I look at it. Where do I even start? Minimalism encourages us to clear out the clutter. If we remove the clutter from our houses, it will help us live in a cleaner, clearer, more restful home. We’ve been filling bags with things to both toss and donate. I’m not going to lie though, there have been times where I’ve just cleared out a closet and tossed everything in a box without even sorting. I know I’ve made work for myself later, but I also know half the stuff sitting in boxes right now won’t make the cut. They’ll be sorted out to live life in someone else’s home or, in some cases, the garbage dump. Tiny house shows fascinate me. For a few years now, I have been enamored with the idea of getting rid of 95% of my stuff and moving into a small home, possibly on wheels, and living a streamlined, paired-down life. Living like this seemed so freeing. Until I went on a recent vacation with my family, that is. There is nothing like one bedroom, kids on the pullout couch, one bathroom (aka one toilet) living to bring you back to reality. Now don’t get me wrong, I could totally live like this. In fact, scores of people around the world would love to live like this. But at this point in my life, it's just not feasible. For the Naaktgeboren family, it is important to create a space where people feel comfortable and welcome. Although we are moving into a larger home, from approximately 1300 square feet into 1500 square feet, it is still modest compared to other homes in our town, and certainly other homes in America. So, while we need the room to spread out, we chose not to build a large home so we can maintain a level of coziness for our family and friends. While we could certainly survive in a smaller home, we welcomed the opportunity to build a modest home suited to our needs. Not too big, not too small, but just right. Walking into a closet that has minimal, but purposeful clothing is a goal I have for myself and family. I find myself drawn to Pinterest posts that show capsule wardrobes based on season or style. I love the idea of less laundry to fold and put away, and fewer clothing items laying in the floor of my kids’ closets and rooms. Less clothing also means the ability to get rid of dressers in my bedroom, possibly creating a nice reading nook. A better use of space, for sure. Slowly, I have been removing out of style and out of size clothing from closets and dressers around my home. We dropped off bags at the local thrift store and I sent things to an online website to be consigned (www.thredup.com). Updating my wardrobe has been easy, especially since I shop second hand from online retailers. My goal is to create a small wardrobe for work and play that uses the same color scheme (black) and can utilize the same few pairs of shoes for these outfits. Sometimes people hear minimalism and assume stark, white rooms with a single chair and no comfort to be found. Our house is a home that’s meant to be used by the two kids, the two dogs, the cat who loves to snuggle, parents who like to veg out on the couch and watch Netflix, and visitors who will come to enjoy a warm meal and warm companionship. Minimalism and comfort can certainly coexist. This involves rooms that are not full of furniture, counters and surfaces that are clear of clutter, décor items that have meaning, and an overall less-is-more approach. While we will not have clutter, we will have items that create a cozy atmosphere. There will be nice smelling soy candles to create atmosphere, a basket of blankets next to the couch, and rocking chairs for porch sitting. Our home will be a place of peace and comfort. 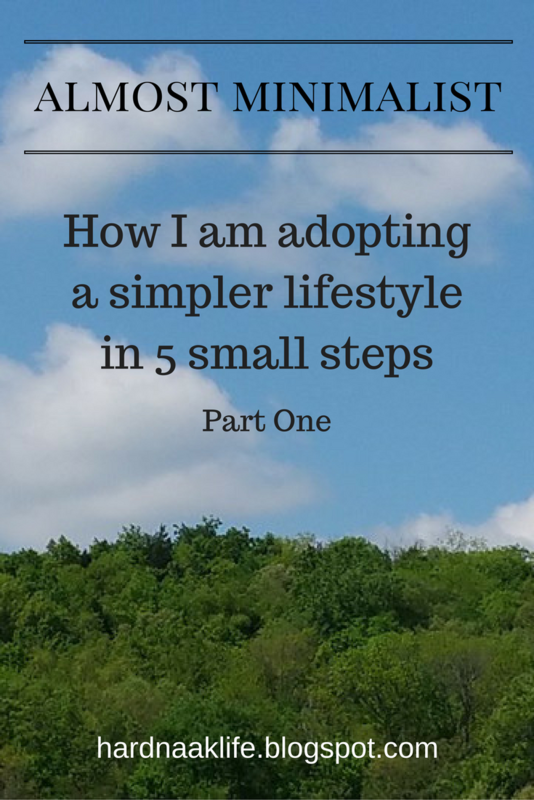 Simple living is a concept I admire because, in a world of stress and noise, it allows a slower, quieter pace. 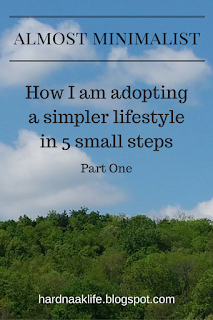 When I think of simple living, I think of gardening, making homemade meals, playing slow, soft music (I love the Laid Back Beach Music Radio station on Pandora), reading a good book, taking an evening walk, and just adopting a slower, more intentional life. Moving from a subdivision to 10 acres in the country has been a great motivator to slow down. We’re encouraged by a piece of property that will allow for some livestock and chickens, a garden and orchard, a pond with fish, and woods for exploring. It practically begs for its owners to adopt a simpler way of living. We have also built a house conducive to rest and relaxation with plenty of room for outdoor living. 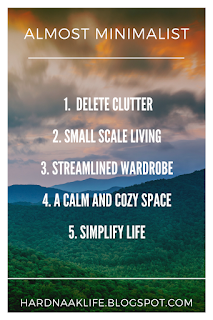 Our hope is to use these minimalist concepts and apply them to our new life at Naak Acres. 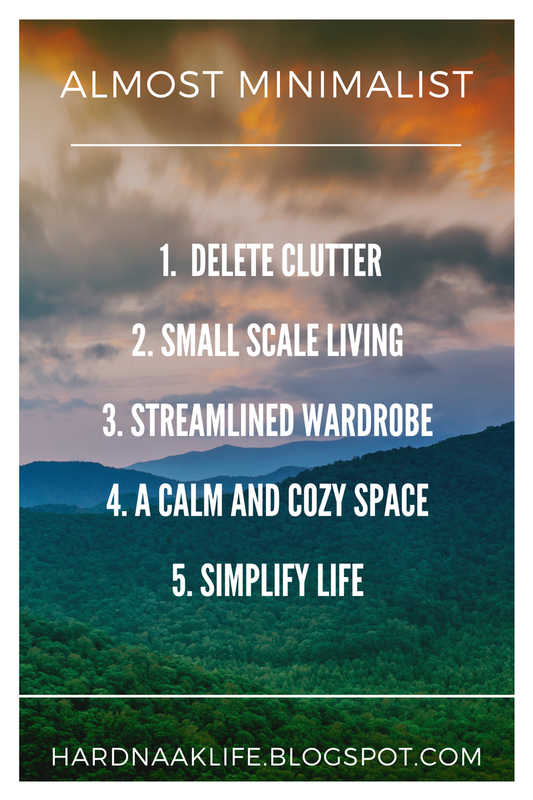 Have you thought about adopting a minimalist lifestyle in some form or fashion? What steps have you taken to move in this direction?